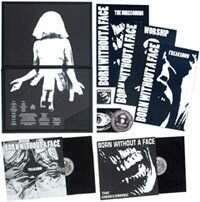 Born Without a Face members Mark Dancey and Robert Eastway decided they wanted something beautiful and lasting for this package, so they put their aesthetic chops to work. 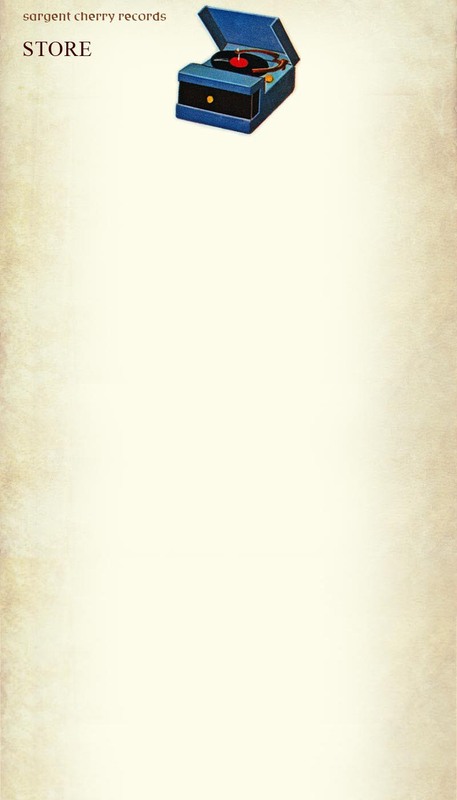 The result is a unique, hand crafted package of exquisite quality and craftsmanship. Made from Masonite, book cloth, museumboard and magnetic strips, the 19" x 13" box is designed to hold three 11" x 17" hand-silkscreened posters so that they lay flat without being folded. An ingenious magnetic closure locks the box tight with everything (posters, LPs, sticker, CD) fitting snugly inside. Each box is a work of art and something any audiophile would love to have in their collection.